Built by John Backe of New Orleans in 1851. Here in 1913 Pres. 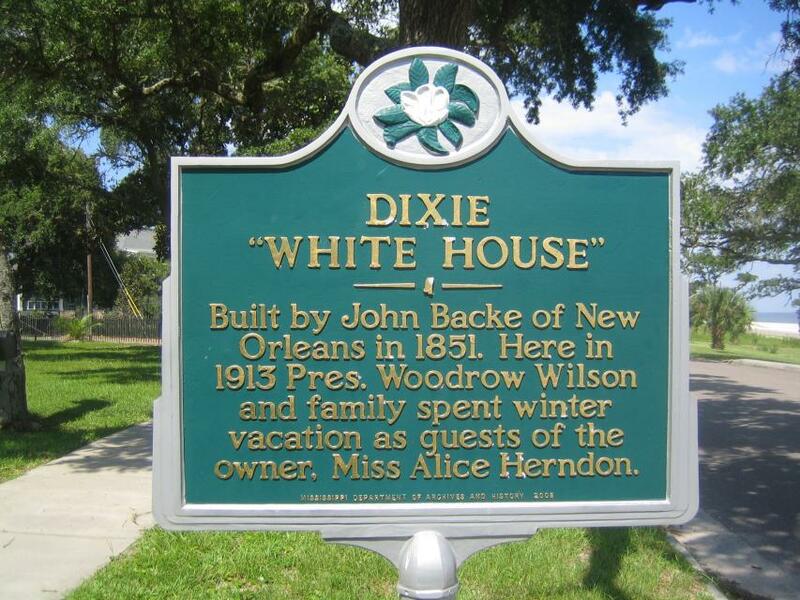 Woodrow Wilson and family spent winter vacation as guests of the owner, Miss Alice Herndon. This marker can also be identified by its HM code. You can use the hashtag #HM1JAD in tweets, and any other place where you might refer to this marker, including when searching on this site.